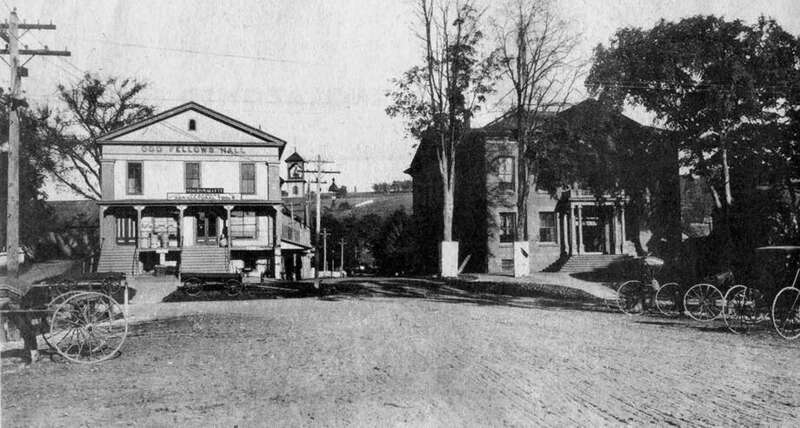 century photographic view from the west side of Main Street in New Milford’s historic village shows parking for horses and carriages along the plaza between Church and Bank streets was arranged much the same as today for motorized vehicles. Note the building now called home by the Village Center for the Arts was then called the Odd Fellows Hall. It had originally been built for use as a church but soon became the home for more than a century for the Village Hardware business. The Roger Sherman Town Hall was shaded by towering elm trees such as those that lined the Village Green for many years. Until its entrance was altered several decades ago, the town hall, the building at right in the photo, matches that of its sister town hall in Great Barrington, Mass. If you have a photo you’d like to share, contact Deborah Rose at drose@newstimes.com or 860-355-7324.